The best way of controlling asthma is by taking medications as directed. These medications make the airways less sensitive and keep people with asthma well. Preventers reduce the redness and swelling inside the airways and dry up the mucus. They may take a few weeks to make people feel better. The medication containers are normally autumn coloured (brown, orange or yellow). Preventers usually need to be taken every day, even when feeling well. Do no stop taking the preventer unless advised by your doctor. During a severe attack of asthma when there is little response to reliever medication, the doctor may prescribe a short course (2-14 days) of Prednisolone (cortisone) tablets or syrup to quickly make you well. 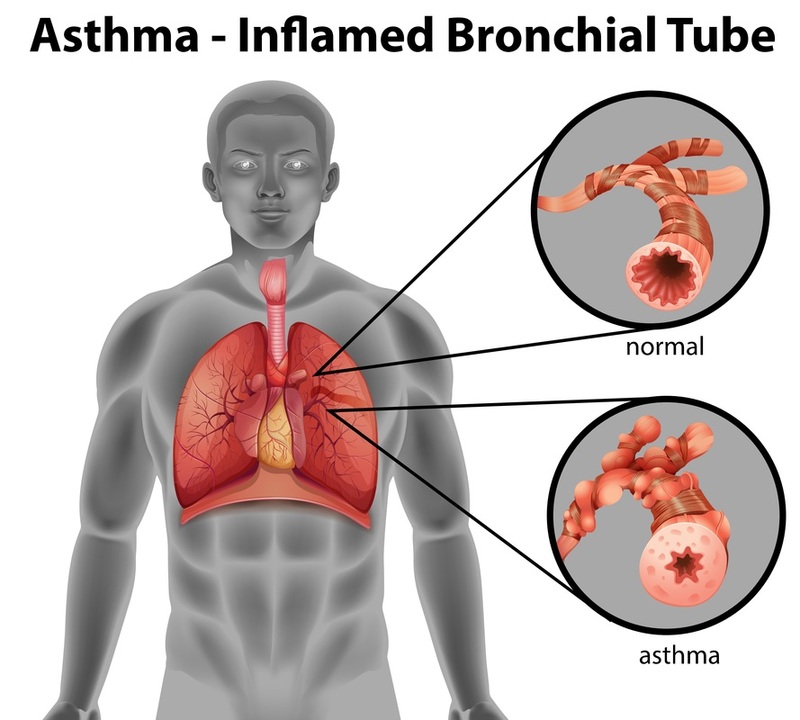 These medications provide relief from asthma symptoms (coughing, wheezing, and shortness of breath) within minutes. Relievers relax the muscle around the airways, making the airways wider and breathing easier. The medication containers are normally blue or grey in colour. Atrovent is a different type of reliever that is sometimes used with one of the above relievers. If you need to use your reliever more than 3 or 4 times a week to ease asthma symptoms (other than before exercise), it may be a sign that your asthma is not well controlled – it is important to check with your doctor. Blowing into a peak flow meter is a good way to check on asthma. It will indicate whether the airways are wide open or narrow. Children under the age of seven years may find this hard to do. Parents of young children and other people without a peak flow meter can monitor asthma by keeping a diary of asthma symptoms. Exercise helps in keeping fit and healthy and will help people to cope better with their asthma. If exercise triggers asthma, ask your doctor for advice about management. Try to avoid trigger factors. Some triggers cannot be avoided, such as changes in the weather and colds or flu. Ask your doctor for a plan to help in these situations. Exercise should not be avoided. Ask your doctor for a written asthma action plan. To make you stay at your best, you should visit your doctor regularly (even when well). The doctor should review your asthma action plan at each visit. Remember you should feel in control of your asthma. An asthma attack can take anything from a few minutes to a few days to develop. During an asthma attack coughing, wheezing or breathlessness can quickly worsen. During an asthma attack, young children may appear restless, unable to settle and may have problem eating due to shortness of breath. They may also have severe coughing and vomiting. If you (or anyone in your care) have any of the above signs, call an ambulance (Dial 000) straight away and follow the 4 STEP ASTHMA EMERGENCY MANAGEMENT PLAN (SHOWN BELOW). Sit the person upright and give reassurance. Without delay give 4 separate puffs of a reliever (Airomir, Asmol, Bricanyl, Respolin or Ventolin). The medication is best given one puff at a time via a spacer device*. Ask the person to take 4 breaths from the spacer after each puff of medication. If there is little or no improvement, repeat steps 2 and 3. If there is still little or no improvement, call an ambulance immediately (Dial 000). Continuously repeat steps 2 and 3 while waiting for the ambulance.